When we asked readers what issues they wanted candidates running for seats on Dublin City Council to be talking about, dereliction and vacancy were among the top-10 most-mentioned issues. So this week we reached out to a few of the 130 or so candidates running for 63 seats on the council, in the election on 24 May, and asked them what they’d do to address these issues if they are elected – or re-elected. A few themes emerged. Candidates talked about trying to balance the rights of property owners against the rights of the community. They talked about using taxes to incentivise property owners to improve and/or use derelict and vacant buildings, and about the council using compulsory purchase orders to take properties away from long-term offenders. They also talked about using the position to try to get more staff and funding for the council so it can keep the homes it owns in good order, and in good use. 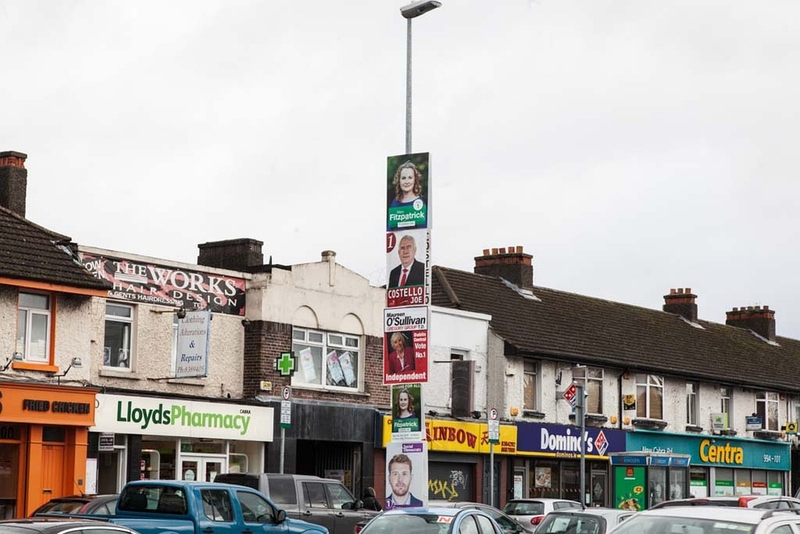 “People have asked these questions actually while I was canvassing and it’s not an easy answer to be honest,” says Imran Khurshid, a candidate for Fianna Fáil who is running in the North Inner-City LEA, one of the city’s 11 new local electoral areas. “I mean of course vacant properties belong to someone. It’s a legal matter. You can’t, you know, just break the door and take it over. But there should be a mechanism when people are homeless and they don’t have a home to live and there are properties sitting there,” he says. Michael Pidgeon, who is running for the Green Party in the South-West Inner-City, says if he’s elected he’ll push for the derelict site register to be used more aggressively in order to move land into development. “I’ve done this myself with one property already on Old Kilmainham that is a pub which has been derelict for about fifteen years and hopefully we will see that on the register soon, get the landowner taxed and get building,” says Pidgeon. He said he would also be in favour for more aggressive taxation on vacant and derelict buildings. There are levies right now: on derelict sites of 3 percent for each year its on a list, and on some vacant land of 7 percent – but with loopholes. Increasing those would need legislation from TDs in the Dáil. Ray McHugh, a sitting Sinn Féin Councillor running in the Kimmage-Rathmines electoral area, said he also would “welcome an increase” in the vacant site tax. That’s something Annette Mooney, who is running in the South-East Inner-City for People Before Profit, said she’d like to pursue too. “Whatever fine you put on them has to be a deterrent for them to hoard,” she said. And what if that doesn’t work? Candidates talked about the council’s power to use compulsory purchase orders (CPOs). A couple of years ago, after a decade of little movement, Dublin City Council started to CPO more derelict properties in the city – although some say its still acting slower that they’d like. Khurshid, the Fianna Fáil candidate, said he didn’t see increasing the council’s CPO powers as a priority. He said CPOs are costly and slow, and he’d rather see new houses being built. Dublin City Council owns homes across the city, and a percentage of those are always vacant at any given time – often after one tenant has moved, and before a new one moves in. The council works to keep that percentage down, but candidates said they’d like to see more done on this front. Dublin City Council took an average of 18.9 weeks to turn around social homes in 2017, according to the most recent report available from the National Oversight & Audit Commission (NOAC). That made it number 11 in a list of councils by speed – in which Westmeath was quickest at 6.8 weeks, and Sligo was slowest at 77.7 weeks. “But that’s impossible because the maintenance budget has been cut and their bringing outsourced labour in to turn around these apartments,” she said. The council should have its own maintenance staff refurbish these properties quicker, said McHugh, the Sinn Féin councillor. 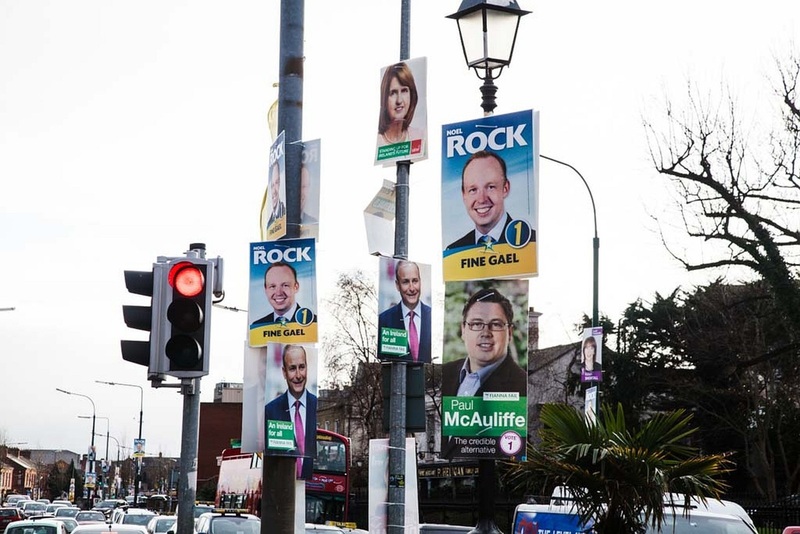 Anne Feeney, a Fine Gael councillor running for re-election in the Kimmage-Rathmines LEA, said the council needs to start categorising vacant properties and deciding what needs to be brought into use quickly, and those that need to be invested in. Feeney said she’d use her position to let the council know where specific sites and properties in her area are that need to be addressed. She says she’s done some work on tackling vacant sites during her current term as a councillor. “We did print a vacant sites form to heighten people’s awareness and that they can take action or they can come and contact us to take action on a particular site so we were proactive with that,” she says. Other than that, though, says Feeney, she hasn’t been all that proactive on the issue. “I put my hands up, I haven’t – apart from at the council raising it and being fully supportive of the vacant sites register, and of imposing fines on it or whatever – I haven’t been all that proactive on the it,” she says. Pidgeon, the Green Party candidate, said he would also use his position as a councillor to push central government “to release more funding to deal with this sort of issue”. “But it’s also about councils using their own powers to tax or CPO land,” he said. Note: We didn’t have room to talk to all of the candidates for this story. But we’re keeping track of who we’ve spoken to, so we speak to different folks in future citizens’ agenda stories. We’re also collecting every candidate’s views on this issue and the other top-10 issues readers chose, and will get their responses to our questionnaire up onto the website well ahead of the election.